Perhaps you have heard of the old nursery rhyme, “Sing a Song of Sixpence,” telling a story about a blackbird pie served to a king. While the pie wasn’t species specific, I am convinced it was one of the species that call the Bitterroot and most of North America their spring and summer home. I also vividly remember my Great Aunt Franny speaking highly of blackbird stew, which often fed her family during the Great Depression. Today however, blackbirds are protected by the Migratory Bird Treaty Act, and unless they are causing severe damage to crops, they may not be taken. So, what species of blackbird reside in the Bitterroot? There are three, and all can be observed within a short distance of one another. 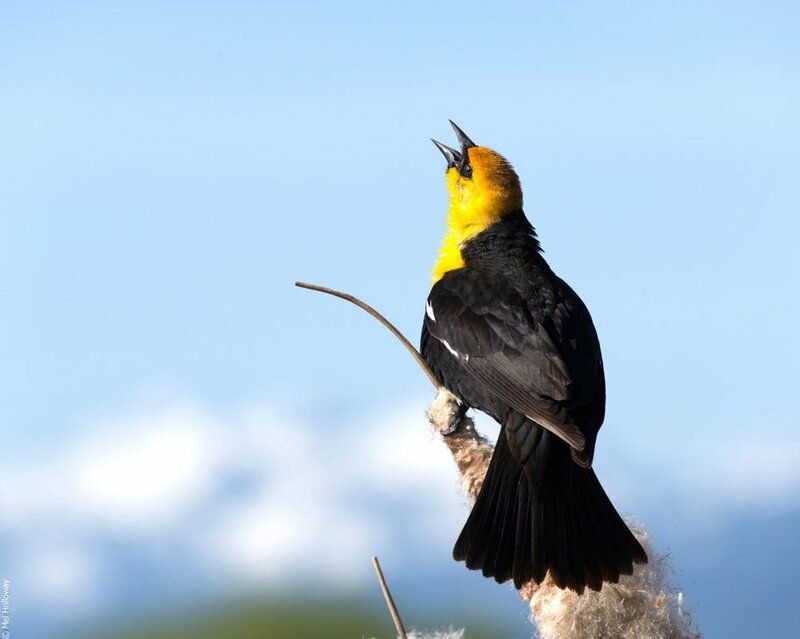 Two species, the yellow-headed and the red–winged can be found near cattail marsh habitats, while the Brewer's blackbird tends to frequent pastures or wet meadows. Each has its own distinct appearance, vocalizations and behaviors. Let’s take a deeper look into these three blackbirds of the Bitterroot.